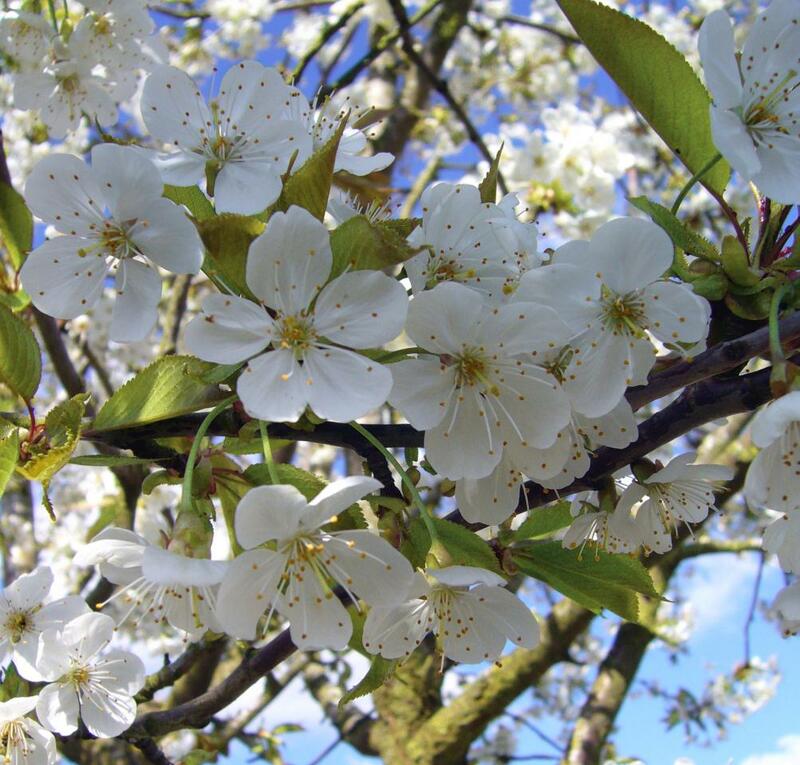 From the point of view of controlling bird damage, you are far better off growing a cherry tree in a container. The tree will stay relatively small and is therefore easier to cover with a net, to stop the birds eating your cherries. Mind you, the size of the container is crucial. It needs to be at least 50 cm across and 45 cm deep. This container needs to be filled with the best top soil available. In the bottom of the container you need to have a couple of 2.5 cm sized drainage holes, which need to be covered with broken terra cotta pots to stop the holes silting up. As cherries themselves are 90 percent water, you must make sure the trees never dry out! Water the trees at least twice a week with 5 litres of water each during the growing season. When very hot and dry, 10 litres of water each. Feed the trees with “Growmore” and follow instructions on the packet. Pruning is best carried out when harvesting is completed. This to avoid the pruning wounds becoming infected by the spores of different fungi such as “Silver leaf,” and not to forget the disease called Bacterial Canker. And where do you get the tree? Here, of course!